Calling all classic rock fans! 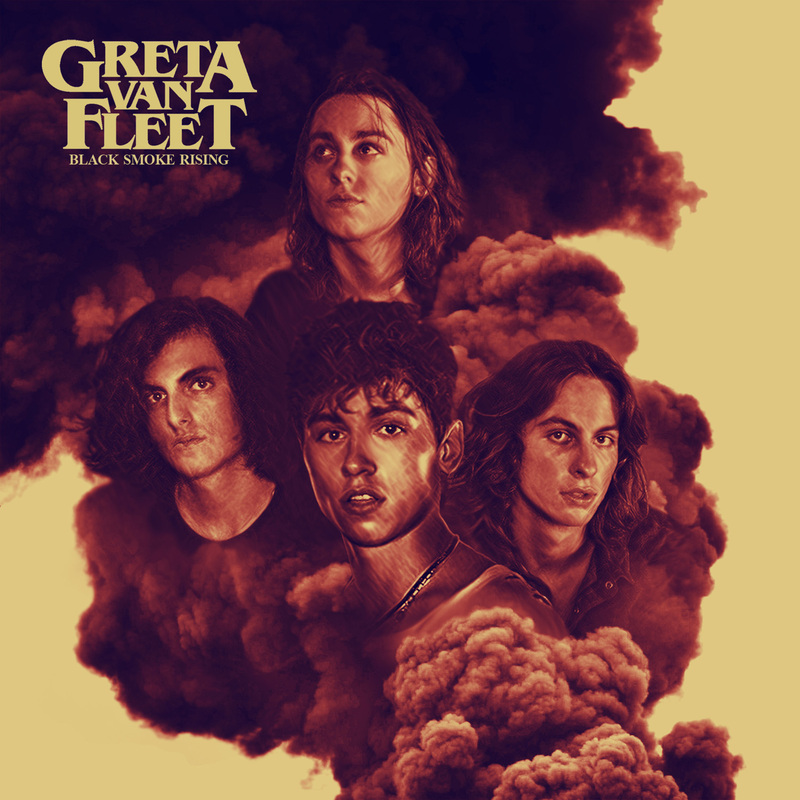 If you’re missing the good old days of long feathered hair and flare jeans, not to mention the incredibly unique rock ‘n roll music from bands like Led Zeppelin, Lynryd Skynyrd, and The Who, then you need to check out the debut EP Black Smoke Rising from the Michigan-based band, Greta Van Fleet. Listening to this album is like stepping back in time to the epic classic rock of the 1970s, which was a time I never experienced but my dad remembers quite fondly (it might’ve had something to do with the long hair). Even though I can’t claim to have been around when rock ‘n roll hit some of its biggest years in pop culture history, this album transports me to that decade and embodies everything I long for when thinking about that era of music. Yes, I know you want that type of music back (and I want it back for you), but instead of dwelling on what’s been lost in the transformative reality of rock evolution, look forward to the amazing possibility that rockers from the ‘70s have been reincarnated as younger musicians in today’s world, ready to give us some more flexible vocals and epic guitar riffs. I’m not saying that’s what happened here, but I’m not ruling out the possibility either. Once you check out their song “Highway Tune”, you’ll understand exactly what I mean. The crazy part about this new group is that some members are barely out of high school. Yes, you heard that right. High school. As in, these musicians were born on the cusp of Y2K and yet still manage to evoke the sound and expression of popular rock music from the 1970s. The band began in Frankenmuth, Michigan with twin brothers Josh Kiszka (vocals) and Jake Kiszka (guitars), their younger brother Sam Kiszka (bass/keyboards), and friend Danny Wagner (drums). Raised on a steady diet of classic rock, soul, and R&B music by their musician father, the Kiszka brothers were surrounded by various influences in music that would later inspire them when they began establishing their own music careers. According to their bio page, this group draws from ‘60s British Invasion bands like the Yardbirds, The Who, and Cream, and refer to their musical style as “reinterpreted of the reinterpretation” of those psychedelic British groups. When listening to “Highway Tune” and “Safari Song”, my mind immediately went to Led Zeppelin and the vocal flexibility of Robert Plant. I also got the sense that Jimmy Page (of both Yardbirds and Led Zeppelin fame) was a significant influence in the supporting guitar work for each song. What stood out to me about Greta Van Fleet is that instead of mimicking elements from this genre of music, the band truly embodies that sound and completely owns it. There are quite a few modern rock ‘n roll groups that attempt to draw from this era of rock, but most of them merely imitate without reaching that higher quality of music. The music that results from this imitation is something that sounds close to the original, but never quite reaches that same level of intensity and musical originality. Greta Van Fleet evades that trap and truly captures the essence of ‘70s rock while still establishing its own identity. I enjoyed listening to this new band, especially the song “Highway Tune”, and I can’t wait to see what’s next for this up-and-coming group. 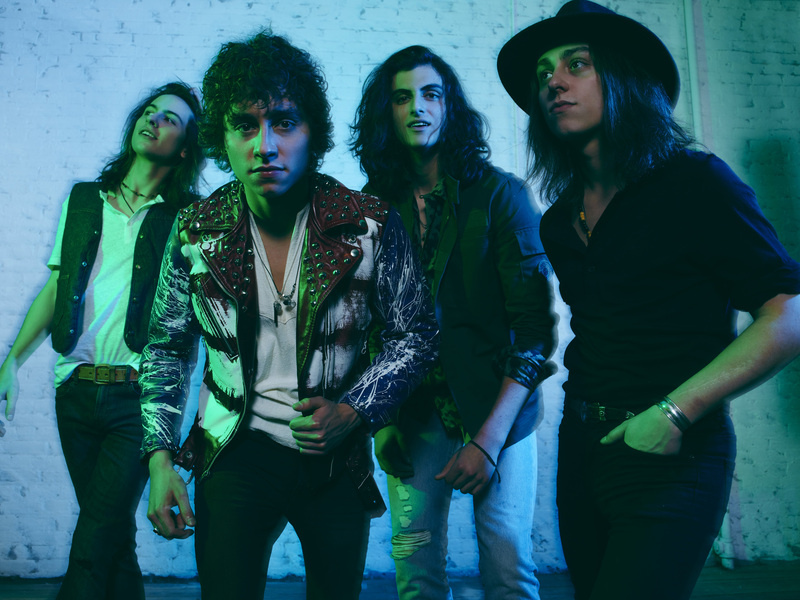 (Greta Van Fleet released an official video for “Highway Tune April 18, you can check it out here.) You can buy Black Smoke Rising beginning tomorrow (April 21) and watch them in person this summer when they tour with The Struts. Now please excuse me while I put on my Led Zeppelin t-shirt and go rock out to some Kashmir.